December 2014 Horoscope Virgo, free Monthly Horoscope for December 2014 and Virgo Astrology Forecast for the month ahead. In December 2014, the House of Virgo will be in an uneasy situation. The reason for that is the quite non-standard distribution of the dominant phases and the key energetic flows between the celestial bodies of the "classical" order. The main aspect of the situation is the position of Mercury. Mercury, the ruler of the celestial and earthly trade routes, is traditionally a planet-ruler and planet-exalt of the House of Virgo. That means that the position of this planet defines the fundamental laws of how the forecasted events will develop for this period. So in December, Mercury will practically abandon the Virgo and direct waves of crashing destructive energy upon it. Its power will be unprecedented, so the Virgos will face serious problems either way. Neptune will not forget to grab its bite, being responsible for the "expulsion" of this House. Like a vulture, it will finish off those directions that are already suffering from Mercury. Luckily, the Virgo is not alone in their battle with all this negativity. First of all, Venus, responsible for the "fall" of this House, will become its fulltime ally and will try to neutralize the sum negativity at least in the sphere of personal relationships. Mars, the "celestial leader" of the Earth trigon, will also not be cast aside and will help in the battle with open and hidden enemies. 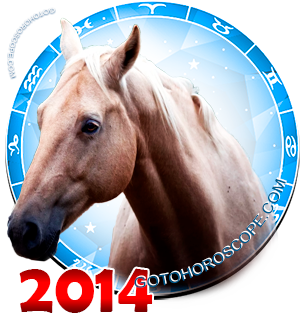 This way, the work direction will not bring anything positive for the Virgos in December 2014. The negative will be there for sure. However, the amount of the bad will significantly vary depending on the personal qualities of the individual in question. If you are a person with will that perseveres and your aspiration and situational preparedness are without equals, then you may not have that many problems. On the other side, the key aspects of the upcoming period are honesty and kindness. Desire for profits may put you in such a hole, that you may not climb out of. Do not even think of lying to anyone! The smallest lie in the most insignificant deal may lead an avalanche of unlucky situations. While Mercury is mean, he knows justice. So a person that is hardworking and open should not really be afraid of such massive trouble as being fired. On the other side, technical failures are guaranteed for everyone and there is nothing to do about it. A similar situation will arise in the process of interaction between colleagues. You will just have to live through it. Luckily, the situation around the family hearth will be much more positive and successful. Here your plans will be strictly maintained by the celestial priestess herself, Venus. Mars will tell you which way is best. If you have lead a war for the heart of some lady for quite some time, then in December 2014 your fight will finally live through its main battle. Otherwise, victory will never come. So proudly lift your head, analyze the situation with precision, and confidently storm the coveted castle. The ravaging celestial warrior will sharpen your reflexes so much that not a single one of your opponents will be able to oppose you with anything coherent. Of course, unless you will just sit there yourself and lazily look upon the subject of your affection. If your second half is with you already, then you may be confident that no one will dare break your family happiness. On the opposite, a lot will fall together in the right way quite suddenly, even when it seems there are no positive outcomes to the situation. Just do not play on that too much, as the winds of fortune are ever-changing, especially when the celestial influence is ambiguous. Good measure is important in everything. Remember about that and misunderstandings will pass you by.